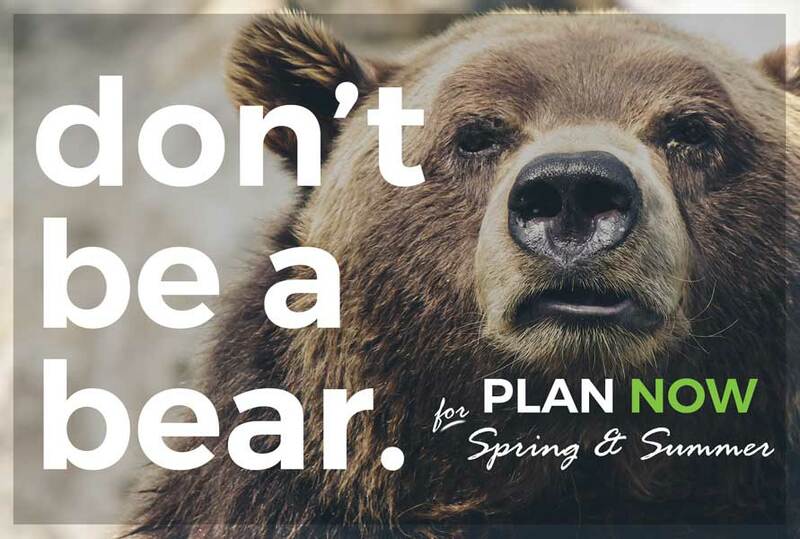 Don’t be like a bear. Don’t wake up after the cold months and react to everything that moves! Now is the best time to plan your marketing campaigns for spring & summer. Spring, summer and Christmas see the biggest consumer spends of the year. How do you position your business capitalise on this? The secret is…it happens at the same time every year. Planning your Christmas campaign on the 1st of December is always fraught with danger and poor results. It's usually quieter for businesses in the Winter months so while you have the time and the headspace, why not start to think about how you can leverage the Christmas spends? A well thought out campaign now will reward you when you need it without adding to a high workload in the busy times. If you don't have a marketing plan in place, now is the time to start. Having a marketing strategy for the entire year will help you maintain a strong business year round and see consistent business growth. We often see businesses put advertising in place in a hap-hazard fashion and this simply is not effective. If you have well planned and placed campaigns in mediums that support one another and at times of year that are going to best boost your business you will get results. Why do it yourself when specialist marketing experts can do it for you? We're a one stop shop for your marketing strategy. As strategy and placement specialists we can help you to place your brand in the best way possible and at the right price. We also produce the creative concept and deliver quality, engaging promotional materials across a variety of mediums including: radio ads, TV ads, print ads, website design and social media campaigns.